Car Accidents in Las Vegas are an every day occurrence. Las Vegas roadways see, on average, 170 Rear-End Accidents, Head-On Collisions and Rollover Accidents every day. After a car accident in Nevada, there’s an over 60% likelihood that there’s been damage done to the vehicles involved and over a 30% chance that one or more people suffer injury. 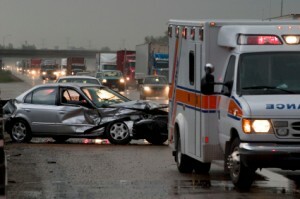 In fact, in 2006 over 30,000 people were injured in Nevada traffic accidents.